Discussion in 'Role Playing' started by Djemo-SRB, Aug 9, 2017. I was curious about something. While im new here, its pretty clear the "RP community" of EC (on the forum) is decently active. If any of you guys still play the game, you would see that the campaign "story/text" isnt anything to write home about. 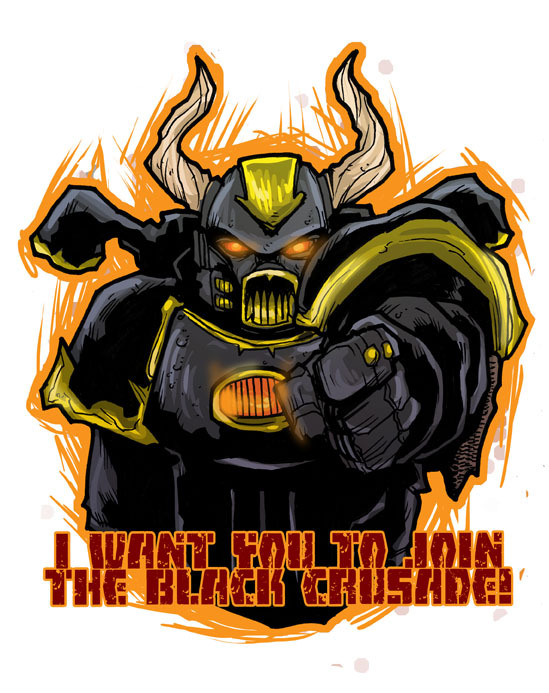 So I was wondering if people within this community would possibly be interested in writing actual campaigns for Eternal Crusade? Not saying thats an option that exists, or would even exist in the future, but if such an opportunity arises (maybe through some sort of a contest like the previous ones on the forum were) would you consider basically becoming a writer for EC? Im sure there are a decent few people who frequent here who could do some mighty fine narrative that would make us all enjoy EC all that more. Hell, im sure people who write well would enjoy having their words immortalized in a video game medium. If you are interested in the idea, do make your voice heard, maybe even link to some stuff you have written. Nurianis, Colapse, Vlayden and 8 others like this. Now that is a very interesting idea! High_Adept_Zeth, Maleth and Djemo-SRB like this. Add to that the fact that Nathan himself dropped a like on the OP, so he likes the idea as well and would probably entertain it. Spread the word people, im sure there are a good number of people on this subforum who could step up to the challenge. Im sure there is a reason why this subforum is active to this day, and the only conclusion i can come to is that its because of people within this subforum who weave engaging and intricate stories that you cant help but want more of. And damn, if having your writing immortalized in a game isnt a good incentive then i dunno what is. Jorimel, Katzu_HSM and Maleth like this. Me. Right here. I'm currently doing the fiction for the Community Campaigns/War Weekends. I'd give somebody else's good arm to write for EC!!!! High_Adept_Zeth, Jorimel and Vaanes like this. Anything you wrote before that you can post/link to? If it does end up happening they will probably make it into a contest or something (if there are multiple people interested), so having some "background" in writing stuff would probably be a plus. Jorimel and Talron like this. Well, i guess you are the first potential contestant. There will need to be more people interested before they can make an actual contest of it though. Is this a hypothetical or actual contest? Hypothetical for now, with good chances of becoming actual. On another note, the topic is stickied folks, spread the word! Well this would have been handy back when the Eye of Terror was active and running Black Crusades. Lack of engagement and a sense of permanence of actions was undoubtedly a reason it's fizzled out. A proper write up may have helped.